Educational and exciting to watch, the WEB composites weaving machine scales down an industrial process and allows it to be used in design studios and universities. 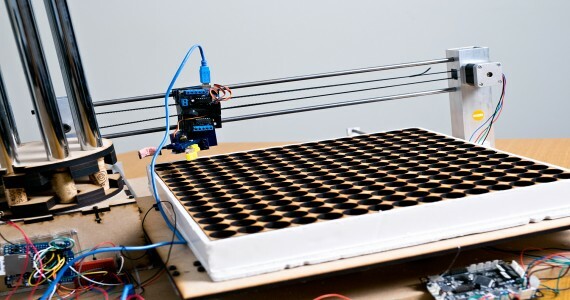 For design enthusiasts who have a natural curiosity towards studying and examining mechanical processes, WEB Composites is a composite weaving machine that allows an industrial process to be scaled down and demonstrated in a design studio. WEB Composites also targets universities and educational institutions that value the importance of the practical aspect to learning and strive to offer well-rounded knowledge and experiences to their students. 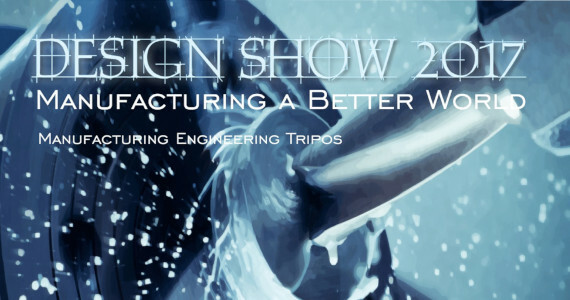 This process illustrates the art of design and shows the interface between simple mechanical processes and their application on a wide industrial scale. Unlike similar industrial processes, WEB composites portrays the mechanical functionality of the process on a considerably smaller scale by applying the art of maypole dancing in weaving around a sacrificial mould. During the process natural fibres, such as wool, are weaved round a mould, and resin is applied to allow for improved mechanical rigidity. The effectiveness of the process can be demonstrated both through the improved properties of the mould, as well as the fascinating aesthetic result. The components that result from the process can either be used in the manufacture of furniture or simply as decorative pieces. WEB Composites is comprised of 3 main sub-systems that come with 3 main challenges. What is the appropriate speed of rotation that will allow the bobbin spinner sub-assembly to function properly? How can individual bobbins be arranged to avoid clashes during rotation? How can the mould be supported and transported along the structural frame to allow maximum coverage in a timely manner? We have tried to find solutions to these problems and have managed to scale this industrial process to a weaving that can be easily transported and used. Team: Elizabeth O’Leary, Ioannis Menikou, Elena Odysseos, Mikey Lavelle. Slabstic markets a proprietary super-low-cost process for manufacturing volume-efficient paving slabs to improve the standard of living of refugee camps and other off-grid areas, entirely on-site, using only plastic waste and other readily available materials. The basic principle is simple: plastic and sand are stirred and heated inside an oil drum (which can be easily found in most areas), and this mixture is then put into a mould. The plastic melts and acts as a binder which adheres to the sand, forming a very strong material. Starting from this basic concept of casting the slab, our research has focused on optimising the process for efficiency and practicality in the face of low-resource manufacturing environments. Slabstic’s product is intended for off-grid communities, in particular refugee camps, who have to make-do with a limited provision of resources. In refugee camps, people live in tents and temporary shelters, often surrounded by standing water. Without proper flooring, preventable life threatening conditions such as infections, flooding and hypothermia claim thousands of lives; so a floor, as simple as it sounds, can make a huge difference. There is often no organised garbage collection in these communities, so we are additionally providing an effective recycling solution for waste plastic. The slabs will be produced on site, in the case of refugee camps, within the camp by the refugees themselves, using only materials found where they live. 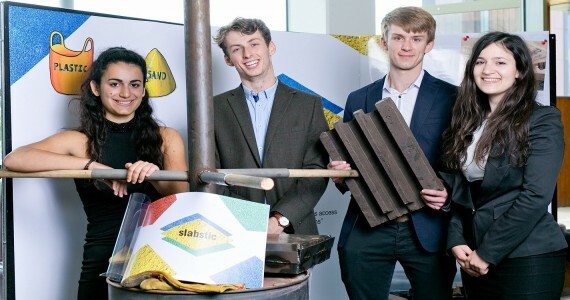 Slabstic will offer, through partnering NGOs, a low-cost toolkit containing the information and initial tools needed to start the process, the rest of which can be handled by local businesses set up by the residents of the off-grid areas themselves. Slabstic’s process will therefore empower communities by creating employment, aiding the development of local businesses and boosting the in-camp economies. As Slabstic will not need to do any of the manufacturing itself, it can operate as a lean social enterprise, able to rapidly and economically deploy its toolkits and consultancy services to NGO and government clients worldwide. Team: Sarah Wolman, Jack Bennett, Sam Ellwood, Alkistis Kyriakopoulos. Our project provides a new end-of-life recycling solution for waste paper by transforming it into furniture. The furniture modules’ versatility allow them to be used as bookshelves, coffee tables, etc. While the UK has a good track record of recovering and recycling waste paper, there is a limit to conventional paper recycling. Paper recycling shortens the paper fibres, resulting in a finite number of times that waste paper can be put through the process before it becomes too weak to be reused. The overall vision was to produce a product that could act as an end-of-life solution for waste paper before it is no longer a viable material. We were inspired by artists who produced sculptures and furniture from waste paper, hence the choice of furniture as the final product. We will target customers interested in making a statement regarding environmental sustainability, whether in their homes or offices. The main challenge with this project was ensuring that the product had sufficient strength and could be produced quickly. This was achieved through the design of the modules, with the truss structure providing strength, as well as the final material composition, which includes plaster of paris to speed up the drying process and provide a smooth finish. The prototype we have created demonstrates how waste paper is processed to become furniture. The process begins with shredding and mixing the paper with water, PVA, and plaster of paris to produce a paper pulp. This pulp is then moulded and pressed to remove excess water and compress the material. The moulded product is left to dry, and the pieces are then assembled into hexagons which can be used for a multitude of purposes, such as bookshelves, boxes, or coffee tables. In the future, we aim to speed up this process, both through automation as well as improved drying methods. More variation in furniture designs can also be introduced with new moulds. Team: Louie Brook-Gandy, Sam Deeble, Sze Ning Chng, Harry Butcher. Plarn Co. has developed an original, innovative system to automate the recycling of hazardous waste plastic bags by spinning them into a fine, strong, weaveable yarn. We are delighted to present: Plarn. Inspired by the work of Dutch designer Michelle Baggerman and NGO Anudando who respectively pioneered the manual process and implement it as part of a textile business in communities in Mexico, Plarn Co have strived to solve the main drawbacks associated with the manual spinning of plastic bags into yarn – the low achievable production rates and the high skill levels required of labourers to produce regular, high quality output. 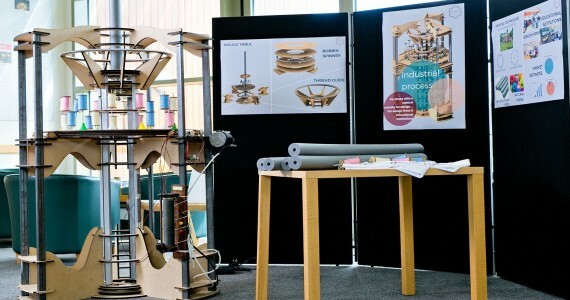 The end solution is a modular machine, to be distributed as a kit, which in turn cuts, tensions and spins the bag into yarn. This is to be targeted at NGOs to allow them to easier implement the process as part of a sustainable business model in communities in developing countries, to recycling institutions and firms looking to adopt an avant-garde recycling practice and (as a secondary market) to environmentally conscious hobbyists for use in personal projects to create sustainable art. Following an initial testing phase, the basic functions the machine would have to perform were identified and worked on separately: cutting the ends and handles off the bag, cutting the bag into a continuous strip, tensioning the strip and finally spinning the strip into yarn. These functions make up the modules of the final machine with small manual interventions required to link from one module to the next – the frame structure and blade allow the ends to be cut off and a strip formed, the two motor system tensions the strip and the motorised spindle twists the tensioned strip upon itself and winds it onto a bobbin. Plarn is an innovative recycling solution that transforms a hazardous waste material into a creative resource and business opportunity. Plastic yarn is already used as the basis for a successful community textile business in Mexico and a machine to reduce the time, skill and costs associated with its production will allow this to be expanded to many more communities as well as broaden plastic yarn to new markets and users. Team: Virginia Rollando, James Wood, Leo Monahan, Praveen Emmanuel. 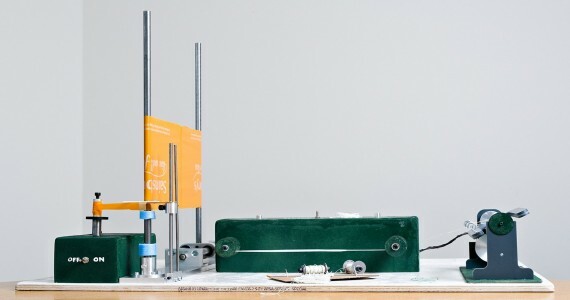 ReFuse is an educational recycling machine designed to inspire the next generation of engineers and scientists. Bringing industrial processes into the classroom, ReFuse converts plastic milk bottles into fusible beads. 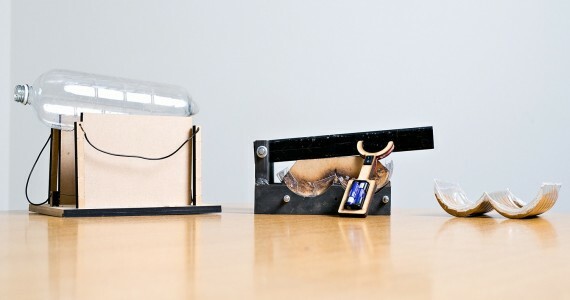 ReFuse offers a hands-on demonstration of a recycling process, making learning engaging, memorable and enjoyable. Unlike traditional classroom learning which rarely links to real-world applications, our equipment allows the demonstration of concepts used every day in industry. To achieve this, we have focused on downsizing a large-scale extrusion process to a level that can be explored in the classroom. Children are encouraged to ask questions about what they observe, and to think more deeply into the subjects they are studying. Focusing on recycling milk bottles (material: HDPE) into fusible beads, ReFuse can be used as the centre of interactive lessons and workshops to introduce children to materials science and manufacturing. The equipment is contained within a see-through case, ensuring it is safe for children to operate with adult supervision. The end product – fusible beads – can be taken home as a souvenir and will be enjoyed especially by younger audiences. These beads are a popular craft toy and can be used to help people think about how common every-day products are manufactured, as well as injecting an element of fun into lessons. These workshops will be suitable for ages 7 to 15, and can be tailored according to ability, age and desired educational focus. Older audiences can be taught about the materials science behind the technology, and how the machine has been designed, whereas younger audiences can focus more on the recycling elements of the product. Available as a stand-alone product or as part of a workshop, schools with a range of budgets can afford ReFuse. 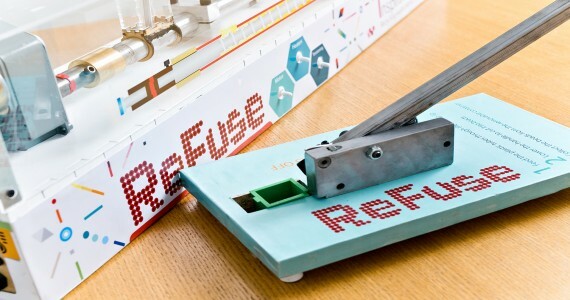 Whether attending workshops run by our volunteers or operating the machine yourself, ReFuse is an excellent product for engaging and inspiring children and the general public alike. Team: James Porter, Luka Novovic, Cheri Chung, Jenny Shepherd. EcoButts has designed, tested and manufactured a greener filter for cigarettes that is non-toxic, made from natural materials and biodegrades within 6 months to ease the environmental problems caused by current filters. Cigarette filters are currently made with a material called cellulose acetate that takes 10 years to degrade. 71% of filters are dropped after being smoked and they are currently the most littered item in the world, particularly affecting marine life. It is a problem that few have addressed despite being such a major pollutant. EcoButts has designed a non-toxic filter for smokers to use that will biodegrade within 6 months to help to clean up grounds, oceans and reduce harmful impacts on marine life. Our filters are made from a natural fibre blend of flax, hemp and cotton, with charcoal additions to ensure the filter remains a powerful barrier to the toxic substances in cigarettes. They will be wrapped in organic hemp rolling papers before being distributed to consumers. EcoButts has also created a manufacturing process that takes inspiration from the textiles industry and adsorption techniques used in current filtration processes. EcoButts will ensure that their new filter matches up to current market filters through extensive testing, with the aim to ensure that the properties not only match current filters, but surpasses current adsorption properties. The eco-filter market for cigarettes is currently very small, with few competitors. Our initial consumers will be smokers who roll their own cigarettes with our filters available to buy in packets. In the long term, we hope to supply our filters to major cigarette brands to be pre-rolled. Although smoking is a controversial issue, it is one that exists and EcoButts hope to transform it to one that has minimal environmental impact. Team: Matthew Thompson, Guniz Kama, Nick Stride, Catherine Yong. Aimed at individual consumers and businesses in the food and beverage industry, this is art revolutionised. By reusing wine-stained corks, our machine creates spectacular, personalised, contemporary artwork whilst upcycling waste. Having come across artists who used wine-stained corks to produce pieces of art, we found it takes a high level of skill alongside many days to manually identify, hand pick and place each cork to create a piece of artwork. Our aim with this project is to automate this process, making it more efficient and cost effective by minimising manual labour. The appeal for such artwork over traditional fine art is that it gives another meaning to personalised art, and enhances the ambience of bars and restaurants. By displaying art that is made using a material at the very fabric of their trade and that would otherwise be discarded, there is a deep-rooted connection to the business itself and the art serves as a constant reminder as to the importance of sustainability. We encourage our stakeholders to stand back and look at The Big Picture, both in terms of the art itself but also in terms of the message we would like to convey. Automating this process presents various challenges, the largest of which is successfully integrating the complex mechanical, electronic and software systems. Some of the key mechanical challenges are successfully dealing with varying dimensions of the corks and the feeding of the corks into the machine. Within the electronic and software engineering design, the challenges have been determining the best combination of hardware to use; sensing the colour of the corks and optimising the image processing software to achieve a good resolution and distinguishable range of colours. Our overall aim has been to create a working prototype that successfully produces a 30x30 cork piece of art. We are confident this can be achieved, and it can used as a springboard to implement various developments and design improvements in order to produce bigger and bolder pictures in the future. Team: Pranay Shah, Veer Goiporia, Michael Zhao, Finlay Brown. BotTile is a machine that repurposes waste PET bottles into roof tiles, therefore giving people living in inadequate housing a chance to improve their quality of life. Our business is founded on principles of sustainable development and puts people and the planet before profits. We engage multiple stakeholders: those who live in inadequate housing, those who earn a living by salvaging waste for sale, and those who aspire to build small businesses. In reality, these three attributes often describe same group of impoverished and marginalised individuals in developing countries hoping to climb the economic ladder. We wish to not only help them escape poverty but also highlight their important role in transforming waste into valuable resources and safeguarding the ecological interests of the world. BotTile is a machine which repurposes PET bottle waste into sustainable roof tiles for people with inadequate housing for their needs. Although PET is a strong and valuable plastic widely recycled worldwide, much of it is still disposed of as marine litter or ends up in landfills. Market research suggests that global consumption of PET packaging will grow to almost 19.1 million tonnes by 2017, which only exacerbates the situation. On the other hand, waste pickers exist all around the world and often have limited education and skills that prevent them from switching jobs. The long term vision of BotTile Inc is to improve global housing through better roofing, while enabling economic empowerment and promoting social mobility. This results in benefits for a tripartite of stakeholders: we provide strong and weather resistant roofs for families, assist waste pickers to earn a living, and offer a path for aspirational individuals towards self employment and social recognition. For them, the simple act of creating a roof is the first step towards a better quality of life. Team: Alice Kavanagh, Ekaterina Essina, Akos Fenemore, Hampton Guo Shen Tao. 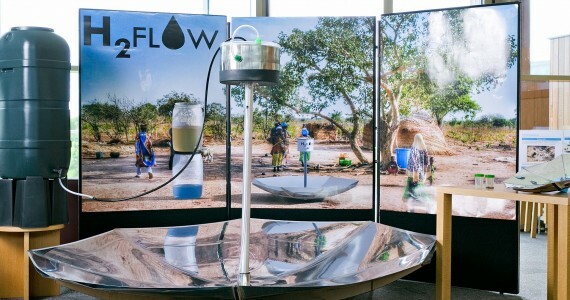 The Still2Flow is an innovative solar water still, used to purify water in economically underdeveloped villages. By partnering with water-based organizations, we aim to impact as many families as possible. The basic technology behind the Still2Flow is simple to keep costs low. Sunlight is reflected onto a distillation chamber using a parabolic mirror, and this energy is then used to boil dirty water. Pure water will evaporate, which is then collected in a container through condensation for personal use. The product is built to a size catered specifically towards 5-person households, although the modular design means that our product can easily be scaled up or down. Solar stills are by no means a revolutionary idea, but the Still2Flow uses a novel design to set it apart from other water purification solutions. For one, the Still2Flow is designed to track the sun, which means that efficiency is at a maximum irrespective of the time of day. Furthermore, by using reflection, the Still2Flow eliminates a major problem of traditional water stills, which is that condensation occurs on the same glass pane through which sunlight enters. The innovative, parabolic mirror also allows for an aesthetic design while still maintaining high levels of solar concentration. Other water purification solutions like filter straws or water-from-air devices also exist, but these are not as well suited to the hot and dry conditions of sub-Saharan Africa as our solar water still. Our project will be run as a not-for-profit enterprise, aiming to distribute our solar still to as many families as possible by partnering with water-based organizations like The Water Project and WaterAid. By conservative estimates, there are 780m people in the world without access to clean water, and our mission is to bring that number down. Approximately 30% of that number resides in sub-Saharan Africa, which is the market we plan to target first. In the long-term, we hope to expand to South and East Asia, where another 55% of the market resides. Team: Hugh Perkins, Aayush Sonthalia. Special thanks to Jazlene Ong who was influential in the developmental phase of this project. 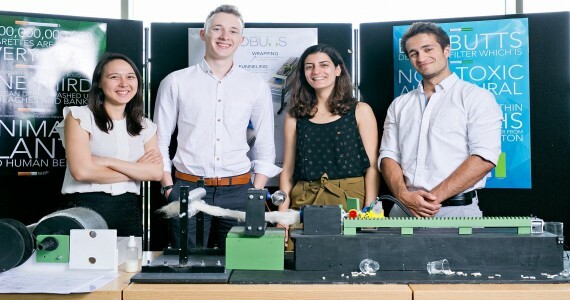 Waxworks aims to demonstrate design and manufacturing processes using the medium of wax in order to bridge the educational gap that exists between the manufacturing industry and schools’ curriculums around the country. Our mission is to inspire future generations of designers and engineers to tackle the current skills shortage within the UK. To achieve this goal Waxworks has developed a series of flexible production modules to demonstrate basic manufacturing capabilities, providing an all-rounded, hands-on learning experience to students. 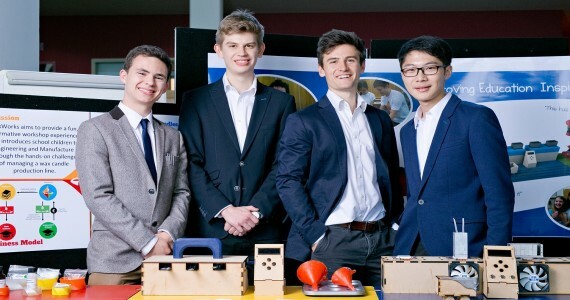 The highly adaptable Waxwork kit can be effectively incorporated into schools’ academic curriculum to allow students aged 12-18 to explore various elements of design and manufacture, promoting teamwork and encouraging students to be critical thinkers and creative problem solvers. Waxworks has adopted a service business model, delivering value entirely through the workshops that we host with our unique production kit. The Waxworks kit resembles a real life manufacturing production line and consists of a storage module, a melting module, adaptable casting moulds, a freezing module and a drilling module. The melting module has digital temperature control capabilities, allowing students to experiment with wax properties and heating variables. The freezing module allows students to explore different cooling times and face shrinkage challenges. Demoulding and drilling exposes students to quality errors, thus providing feedback on process variables. The moulds consist of multiple inserts, allowing flexible mould design combinations to encourage creativity. The management of these modules will promote teamwork amongst students and educate them about line balancing, inventory management and process control. One of the major challenges Waxworks faces is to ensure our workshop matches school curriculums and goals. To do this we must learn from student and teacher feedback and continuously improve our workshops. Moving forward, Waxworks hopes to expand our kit’s capabilities, with better controls, automation and other processes like rotational moulding, lathing and injection moulding. Team: Jonathan Stafford, Johnson Pak, James Gard, Matthew Shaw.